Do you ever get bored driving around town looking at the box houses with bland siding? I do. 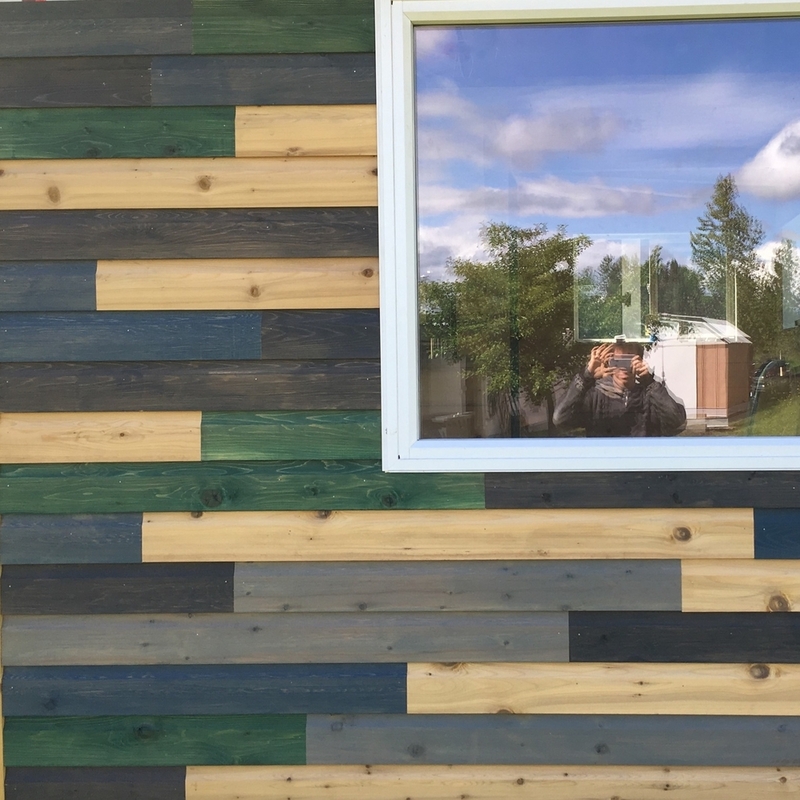 I knew I was taking a chance with the multi-color siding, but it was better than settling with boring. My grandpa, big Axel, was around when I started siding the first build. He tried to talk me out of it, cringing at the look of the first few boards going up; he had to leave it got so bad for him. When he returned he loved it; he still raves to his friends about it. 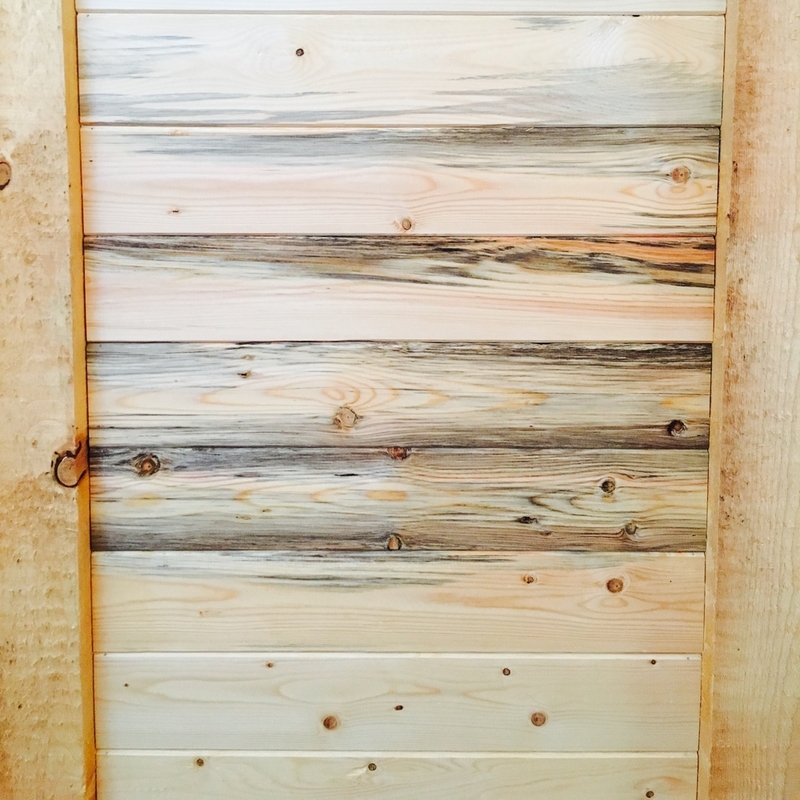 Here are a few shots of the siding from the first build. Going into the second build, I had a lot of confidence at my back regarding the siding. I loved the look of the first project, and I was determined to make the second one better. I was going to use six colors; natural, grey, green, blue, brown, and purple. It was a disaster; far too overwhelming. I quickly cut out brown and purple from the mix, and I think it turned out not half bad. During both projects, I remember hating my work. Acting like an artist, and hating everything. 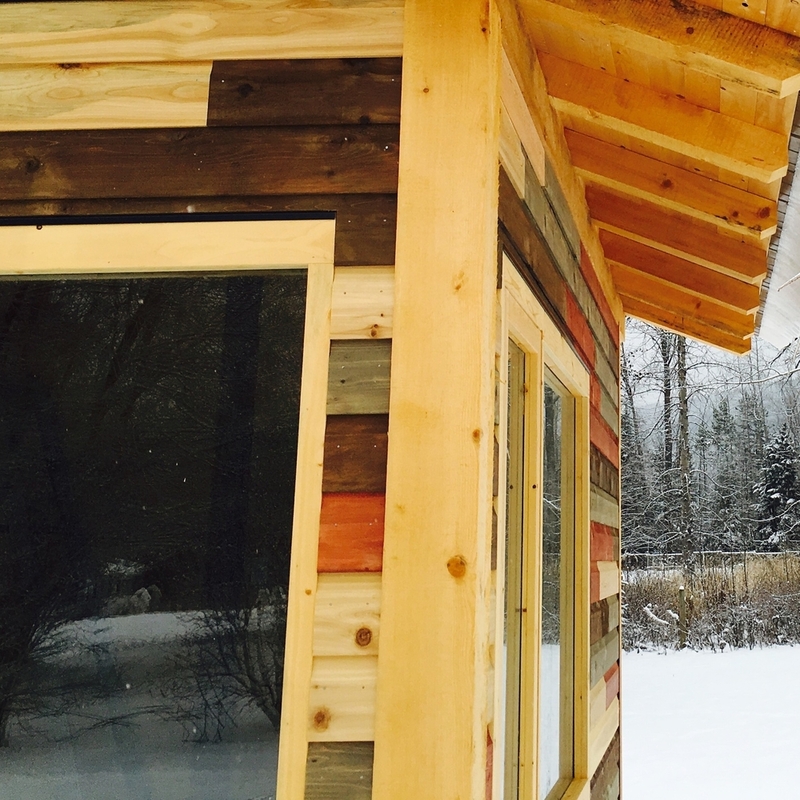 It was hard to finish the siding on both project, but getting through I am very happy with the results. As for the interior siding, I knew I didn't want to use drywall for a few reasons: One, I hate drywalling, and two, I was worried about the drywall cracking during the move. So I opted for wood siding once again. 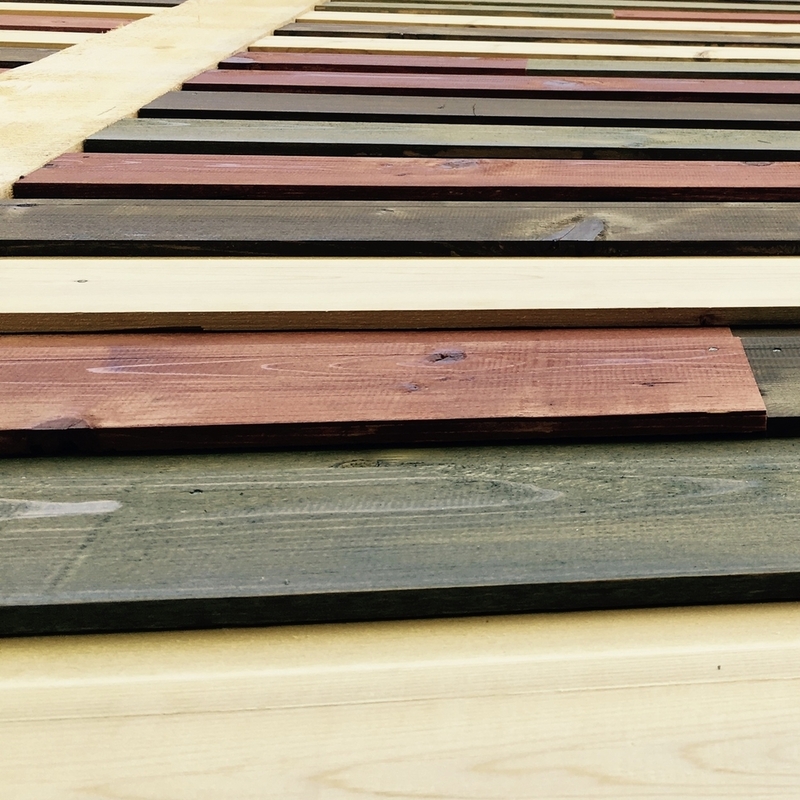 A benefit of having wood as interior siding in a small place is its ability to absorb moisture. I decided on 1/4" tongue and groove for the first project, and 3/4" shiplap for the second. They both turned out looking great, but I would alway opt for the thicker wood if I did it again.